Happy Wednesday. 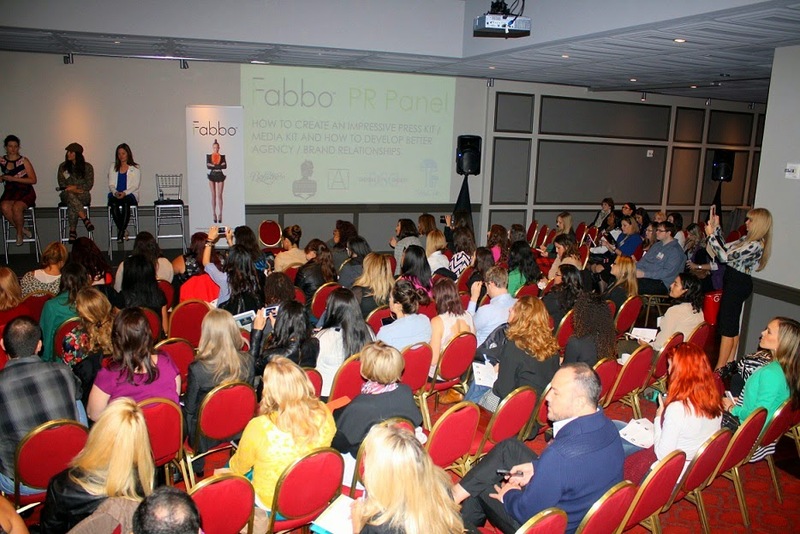 Let me give you a quick recap of iFabboSFCon--the fashion and beauty social media conference that occurred over the weekend in San Francisco. The panels included a PR Panel with PR Couture, a Social Media Panel with Makeup Geek, a Photography Panel with Adobe, a Becca Cosmetics fireside chat, a Monetization Panel with Disqus, a Future of Fashion & Beauty Panel with Glam Media, ShopStyle by Popsugar and Poshmark, a keynote speech by The Fearless Factor...and so much more. Ready for this photo heavy post? Blogger buddies (some I've met before, but this was our 1st meeting for others): Nancy - Adore to Adorn | Amber - A-Mused Blog | Bethann - BethAnimalPrint & Caity - Moi Contre La Vie | Jessica - Jezz Dallas Make-Up Your Mind | Happy to meet Marlena of Makeup Geek ~ she spoke on the Social Media panel and she was a big fan favorite. Marlena was super nice and easy to talk to as well. | I also met Alexandra of SF Shop Girl, who had the cutest neckwear, and Juliana of Covet Fashion ~ check out their fashion dress-up app! 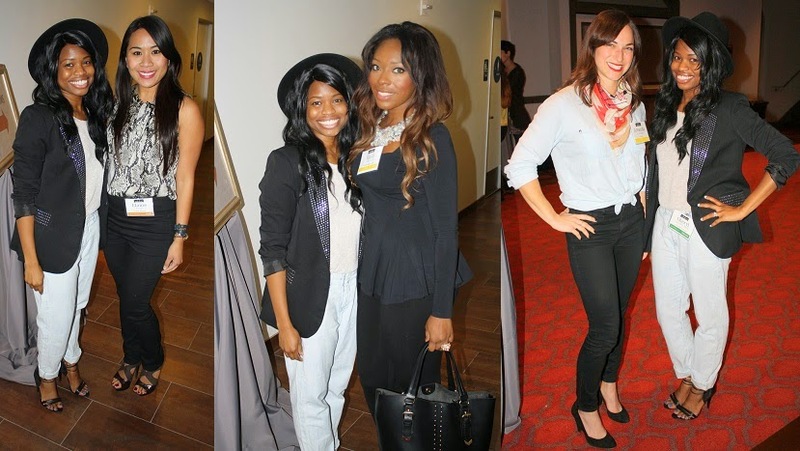 | And yay for finally getting to meet Jennifer of Just Add Glam. She gave me a fab compliment about my high/low look. | New friend Elba of Live Colorful | The lovely sisters of Triple Delights | Meghan ~ owner of Svelte Metals | My friend Elaine of Lotus Premium Denim ~ a sponsor at iFabbo | Hadi ~ iFabbo moderator and founder of MyMuseBox | And Amanda ~ iFabbo panelist from Disqus | These toothsome cupcakes were sponsored by Luvocracy, and I ate up the red velvet cupcake in a matter of seconds. So good and so cute. iFabbo made sure we had coffee in the morning, the most delicious lunch sandwiches, cupcakes and lemonade for a snack, and then cocktails and wine at the after party. Thanks to the hubs for taking all these photos, being my videographer and not complaining about any of it. He actually really enjoyed the Adobe speaker. Follow me on Instagram to see more of my iFabbo coverage! Were you at the conference? You are so pretty, amazing! Thanks for sharing the pics, Cheryl:) Hubby did a good job:D And love your outfit too. BTW, I've seen some of Marlena' vids and she does seem really nice. This looks so fun Cheryl!! How awesome that you go to meet so many great ladies, and learn some great things as well! That's what it's all about! Connecting with other fabulous bloggers, learning new things, sharing inspiration and of course enjoying a sweet treat. Glad you had a great time Cheryl. Beautifully photographed. And how wonderful to connect with fellow bloggers, too. Must have been fun! This looks and sounds like such a fabulous event to get to learn and connect with fellow bloggers! Thanks so much for sharing your experience with us Cheryl! Thanks for including me in the round-up and hope we can meet again soon!! I have never attended a social media conference but it looks like it was fun from your beautiful big smile! Love your hat too!! Your pictures are darling! It's fun to see all these bloggers in one place! Lovin all the fashion! :) Hope you had a fab Wednesday! Have a great rest of the week! Come visit sometime! Looks like a fab conference Cheryl, great pics and outfit! Love your outfit, those pants are hot! sounds like a fun event, and it looks like you did a lot of great networking! This must have been such a wonderful experience and amazingly fun! You look beautiful Cheryl and the cupcakes look so yum! Thanks for your kind visit and sorry for the late reply - internet issues. Have a great day doll! OMG everyone looks so incredible - the style! Must have been so fun to meet new people! Great post dear! I so like your whole look. Looking forward to seeing your future posts. It's so nice to meet up with blogging buddies! Great pictures doll! Looks like you had a ball! I wish to one day go! 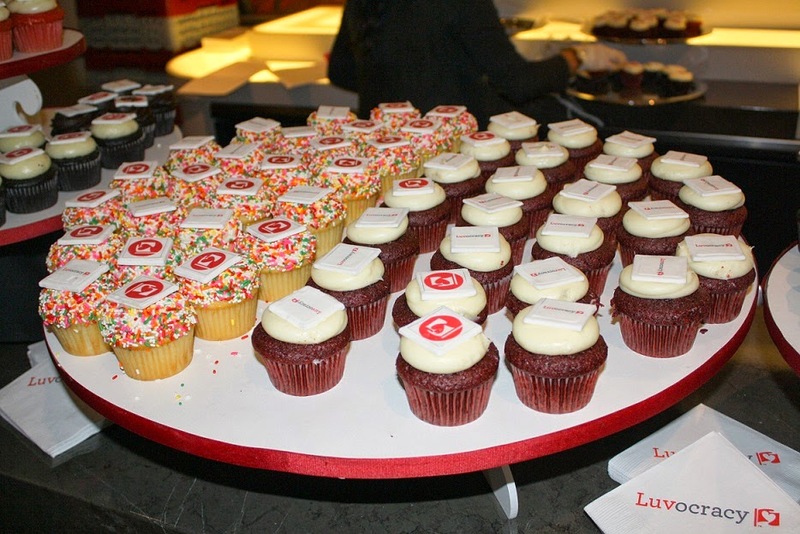 Love this post Cheryl and it was so fun to get a recap. I wish I could have been there and it was fun seeing girls I know like Jen & Elaine. :) Your pics are great and your hubby is great as usual. Also, thank you for the October Faves post, I didn't know TJ Maxx has an online store. It must have been really interesting event. You look divine!! It was great meeting you, lovely pictures.